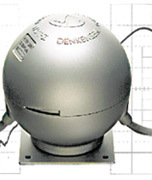 DENKENSEIKI Research Institute Co., Ltd.
With the rapid development of a highly information-oriented society, noise obstacles become more and more serious problems. We DENKENSEIKI, greeted the 50th anniversary in 2010, have repeated research for a long time paying attention to noise obstacles involved in diffusion of electronics products, have developed prevention technology of noise obstacles and related products such as "Noisecuttrans". In consequence, we are highly regarded among various research institutions and the industrial world as a pioneer in the field of noise. Applying ourselves to research further in order to prevent from noise obstacles that regarded as pollution for future society, we will make a contribution as a company that support the sound progress of an information-oriented society. The prior approval of DENKENSEIKI Research Institute Co., Ltd. is necessary to reprint or reproduce in whole or in part these materials. Copyright(C) 2015 DENKENSEIKI Research Institute Co., Ltd.